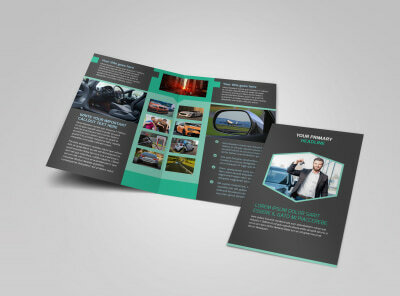 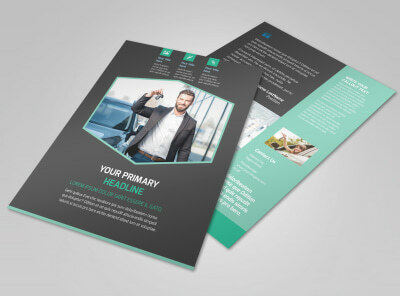 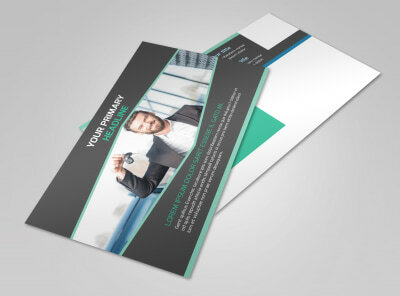 Customize our Car Rental Brochure Template and more! 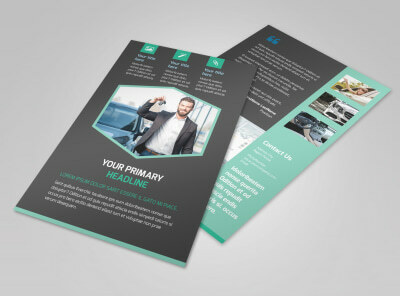 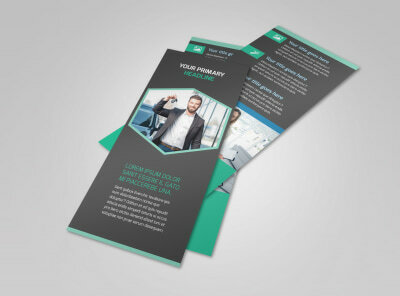 Let clients know what to expect when they rent a car from your business with a car rental brochure you design using our online editor. 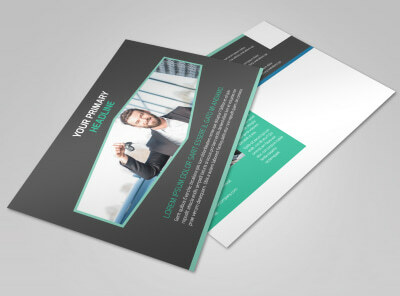 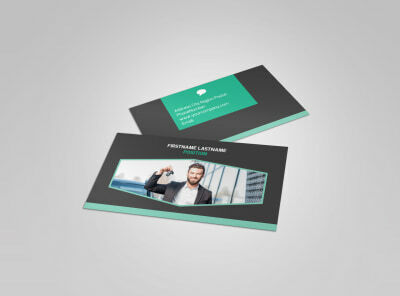 Choose from our selection of templates and customize with a color theme of your choice. 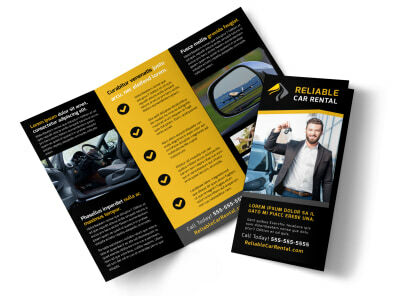 Add images of some of the rental cars available at your place of business and modify the text so it’s compelling and easy to understand so customers won’t be confused by your terms of service. 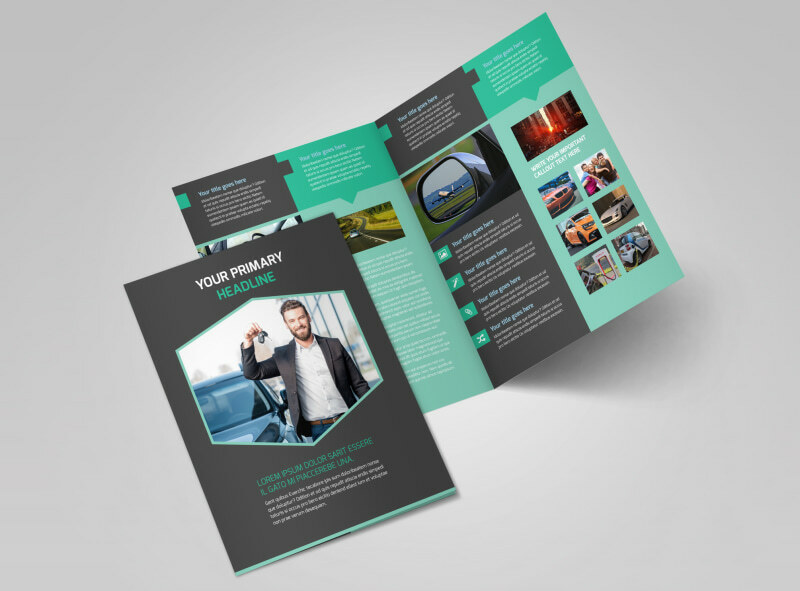 Print from any location, or leave that part to us while you go back to providing vehicles to those caught without transportation.